When he’s not piloting around the world for JetBlue, Gregg likes to stay busy on his days off. And for him, that routine includes traveling over to Chelsea from Queens to volunteer at Holy Apostles Soup Kitchen. The music teacher turned commercial pilot discovered that his day-to-day routine changed dramatically when he changed careers. A man of faith, he turned to his own church for help finding a food pantry or soup kitchen to volunteer his time and energy for, and they pointed him in Holy Apostles’ direction. His favorite job is greeting people when they come in. “It’s a time to talk, even if just briefly,” he says. “It can be anything, about the weather or about sports.” He notes the many guests he’s met who aren’t native New Yorkers, like himself, and how their shared geographical experiences form a friendly connection. Gregg has certainly gotten a lot of mileage out of his volunteering so far, and has even been able to magnify his efforts through his employer. By logging his volunteer hours with JetBlue, the airline donates tickets to the nonprofit of his choice. 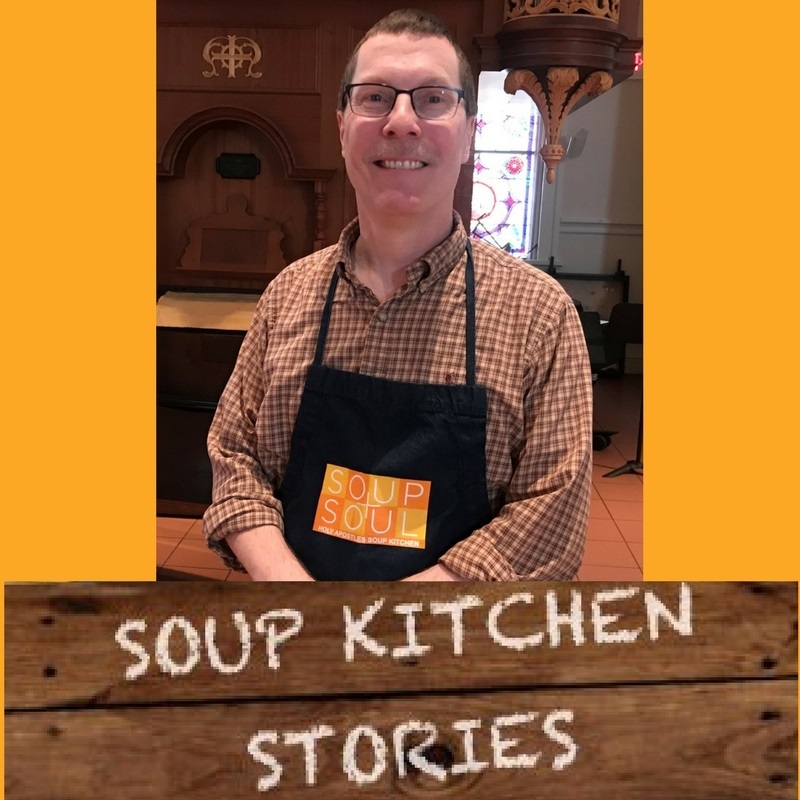 He chose Holy Apostles Soup Kitchen, and is contributing tickets to the upcoming Farm to Tray auction, when the highest bid will help to purchase ingredients and support our programs. Since learning to fly as a hobby while he was an associate professor of music at colleges and universities, and eventually changing careers completely, Gregg has never shied from adventure. Most recently he has earned his commercial glider license: flying those planes that have no engines. But for Gregg, these leaps of faith don’t happen without persistence, planning, and hard work.